As well as 7 fabulous guest posts, you can link up and/or browse the crafty goings on from all of the other #CraftyBs joining in. The link up will stay open until Christmas Eve so be sure to keep popping back for the latest link ups. 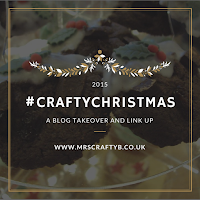 If you have a blog post that features any sort of Christmas craft, pop the badge at the bottom (using the code at the end of this post and all of the guest posts) and click the blue 'Add Your Post' button. 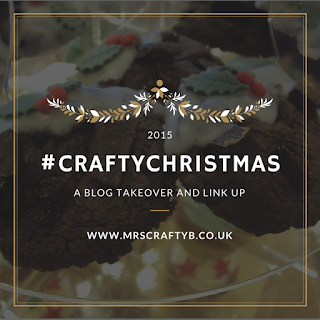 Don't forget to visit some of the the other posts for inspiration and say hi from the #CraftyChristmas link up. What is your favourite craft at Christmas time? Do you like crafting with your #MiniMakers? Really looking forward to seeing what everyone comes up with. You have got to love Christmas, I know i do.